This is a compatibility list for SD, SDHC and SDXC cards. The cards listed in green work with any file system. The cards listed in yellow work well only with one file system (this still means they can be used on the Pandora). The cards listed in red do not work well with any file system. 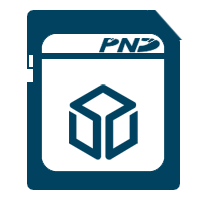 Although it is not covered on this list, the Pandora can also read NTFS-formatted SD cards if the Community Codec Pack is installed. If you can afford destroying all your data, you can test write speed. But be careful, you will need to create a new partition table, afterwards! You can use Gparted to make new partition table. By default, the first partition starts at block 8192 (4096KB) for <= 32GB cards, and block 32768 (16384KB) for >= 64GB cards. 64GB cards may need to be reformatted before use. 16 4 Kingston 16 GB Class 4 SDHC  no no 15 9.5 15663104 Bad controller chip, fails in the same manner as the 32GB card. 32 4 Kingston 32 GB Class 4 SDHC  no no 16 9.5 31539200 Defective flash controller randomly loses writes regardless of filesystem. When attempting to write, blocks sometimes get erased but not written. 32 4 Lexar Multi-Use 32GB  yes yes 16.1 14.4 31267840 Much faster than would be expected for a class 4 card. Usual warning about high-speed cards being susceptible to power supply glitches applies. 32 10 Lexar Premium Series 32GB 100x  yes no 16.7 12.0 ? Worst ext2 support ever. Copying fine, a LOT of I/O errors at first boot. Literally unusable. Fat32 seems perfectly supported. 64 10 Lexar Professional 64GB 133x  yes yes 19.6 15.1 62536704 R/W speed in the pandora is limited to 16.1/11.3 MB/sec. High power consumption, may fail under load. 128 10 Lexar Professional 128GB 133x SDXC  yes yes 17.2 11.8 122.97GiB Speeds listed are IN a Pandora. 8 6 Panasonic SDHC 8GB (RP-SDQ08G)  yes ? 16.0-17.2 12.1-13.1 7778304 seems to work fine. Ext yet untested. 32 10 Patriot LX 32GB SDHC Class 10 (PSF32GSDHC10)   yes no/yes 18.1 12.6 ? Formatting EXT2 and then running fsck right after finds errors. Seems to work well with fat32 /// Entry 2 from another user: Works great with ext2. No errors or issues. 4 10 Pretec 4GB, Class 10, 233x (white/green)  yes yes (mostly) 14.0 ? 3883008 I had very few fsck problems, and after several tries running fsck, they eventually got corrected. It looks very similar to that broken 32GB pretec. Except that this one almost works good. 32 10 PNY 32GB (P-SDHC32G10)  yes ? 17.1 ? ? Works fine. EXT untested. 16 6 Samsung 16GB SDHC  yes ? ?? ?? ?? seems to work fine. Ext yet untested. 32 10 Samsung 32GB MicroSDHC Class 10 (MB-MSBGA)  yes yes 18.1 11.7 30657536 Works. Claimed to be resistant to magnets, shocks, and seawater—as if you’d be able to find it in the ocean! 32 4 SanDisk Ultra 32 GB Class 4 SDHC  yes yes 16.4 7.1 31166976 OK.
64 10 SanDisk SDXC I 64GB Ultra 30MB/s Edition  yes yes 17.5 9.4 ? SDSDU-064G-U46 Have high doubts about this card after some real usage. Transferring lots of files and big ones leads to corruption, whatever the filesystem. Reminds me Transcend crappy cards. 8 10 SanDisk SDHC 8GB Extreme 30MB/s Edition  yes yes 16.6 ? ? Works nice. Installed Angstrom on it and copied some stuff onto it. Angstrom runs as fast as from NAND. Best thing was, where I ordered it it said class 6, but it is actually 10. :-D Still have to test its speed and actual size. Didn't test Fat a lot, but it seemed to work. 8 10 - UHS 1 SanDisk Extreme HD Video SDHC UHS-I 8GB 30MB/s 200X  yes yes 16.6 15 ? Works. 16 10 - UHS 1 SanDisk Extreme HD Video SDHC UHS-I 16GB 30MB/s 200X  yes yes 16.5 14.5 ? Works. 32 10 - UHS 1 SanDisk Extreme SDHC UHS-I 32GB 45MB/s 300X  yes yes 17.0-18.6 13.0-23 ? Works. 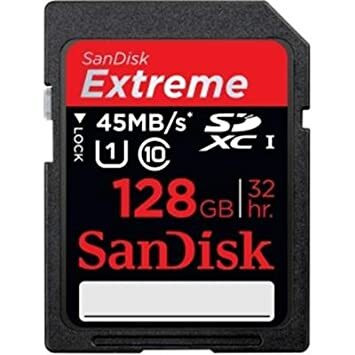 128 10 - UHS 1 SanDisk Extreme SDHC UHS-I 128GB 45MB/s 300X  yes yes ? ? ? Works. 128 10 - UHS 1 SanDisk Extreme SDHC UHS-I 128GB 80MB/s  yes yes 18.9 18.1 ? SDSDXS-128G-AFFP Read/write 18.9 and 18.1 on 1GHz unit. 8 10 - UHS 1 SanDisk Extreme Pro SDHC UHS-I 8GB 45MB/s 300X  yes yes 15.8 12.5 ? Works. 16 10 - UHS 1 SanDisk Extreme Pro SDHC UHS-I 16GB 95MB/s 633X yes yes 18.9 17.4 ? SDSDXPA-016G-X46 Read/write 20 and 19.1 on 1GHz unit. 64 10 - UHS 1 SanDisk Extreme Pro SDHC UHS-I 64GB 95MB/s 633X yes yes 18.2 19.1 ? SDSDXPA-064G-X46 Read/write 19.9 and 20.9 on 1GHz unit. 32 6 TOPRAM 32GB CLASS 6 SDHC HIGH SPEED (TRSD32GSDHCR3)  ? ? ? ? ? Reported working here. 8 10 Transcend 8GB SDHC Class 10  yes yes 13.3 10.1 ? Have serious doubts about this card. May fail when transferring a lot of data. Seems it doesn't handle.
? After some time the system gives read/write errors. Works fine on a pc with linux with ext2/ext3. Serious issues. My Linux computer can't read it, but that is probably the computer. First formatted it to ext2 while leaving 16MiB free at the beginning because it was like that when I got it. Had 16MB/s r/w. Then started to have problems after writing about 64GB to it, couldn't mount it, reformatted it, no change, reformatted it as Fat32, still no change, reformatted again as fat32, no problems so far but write speed is 0.5MB/s and read speed 14.76MB/s. I let F3 run over it, the speed was measured using it too. --A few weeks later-- It has got variable w/r speed, it drops after a few seconds of writing data to it. Sometimes it gives other errors, stops working until I reboot, etc. It's useable, but I wouldn't buy it again. This page was last edited on 26 September 2014, at 19:25.